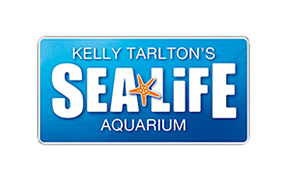 What's new at SEA LIFE Kelly Tarlton's? What time are your talks and feeds at SEA LIFE Kelly Tarlton's? Step into SEA LIFE Kelly Tarlton's and experience magical mystery underwater worlds while meeting some of the incredible animals that call these environments home. Opened in 1985, the original Underwater World was the vision of Kelly Tarlton - an extraordinary Kiwi adventurer, diver, explorer and inventor, who wanted to share his love of the ocean with others. Stingray Bay offers an awe-inspiring look at the giant stingrays, before delving deep into the Underwater World to see the rich variety of species from New Zealand's coastal waters. Come face to face with sharks, turtles, giant rays and other incredible deep sea creatures on the moving walkway. New Zealand's rocky shore and tropical species await you in Fish Gallery. See everything from crayfish to seahorses, octopus to piranha and moray eels. Then journey into the Seahorse Kingdom with seahorses from around the world. The adventurous visitor can choose to take part in an Animal Adventure - We offer both snorkelling with the sharks with Shark Cage Adventure or mingling with the penguins on the ice with Penguin Passport. To pre-book your tickets and save up to 20% (depending on your date of visit) please click here.